The reaction to the Academy of Motion Picture Arts and Sciences introducing a Popular Film Category into the Oscars mix was somewhere between "yuck" and "Oh Hell no!! ", and that is likely playing a big role in today's decision. The Academy has decided to delay the implementation of the award so that it will not be part of the upcoming 91st Academy Awards, although they remain “committed to celebrating a wide spectrum of movies." Uh huh, sure. Fancy a mulligan on this one? 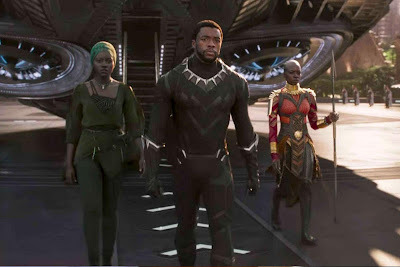 The move was initially criticized for arriving at the same time that superhero films such as Black Panther were seen as justifiably deserving Best Picture consideration. That argument still holds, and will when/if the Academy decides to finally act upon this move. The Academy has claimed Popular Film nominees could still be considered for Best Picture, but the likelihood of that actually happening is extremely slim. The suggestion of seeking "additional input" will likely mean polling the group's 8,000 voting members in hopes of convincing them to support the category. Failing that, I wouldn't be surprised at all if the entire idea gets nixed quietly and we never hear from it again. The 91st Academy Award will take place on Sunday, Feb. 24th 2019 on ABC.